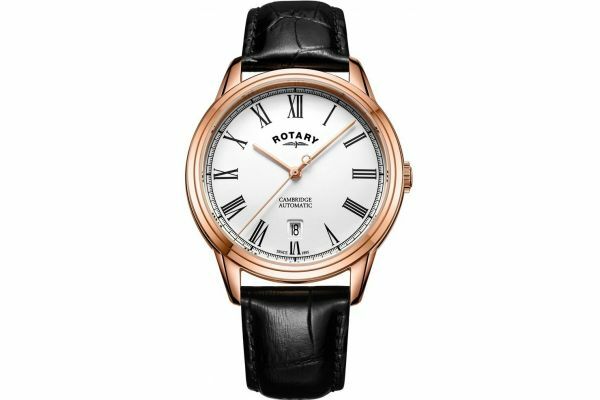 This sophisticated men’s watch is brought to you by renowned watchmakers Rotary as part of their Cambridge collection and features a stunning 40.5mm rose gold PVD plated stainless steel case and bezel. 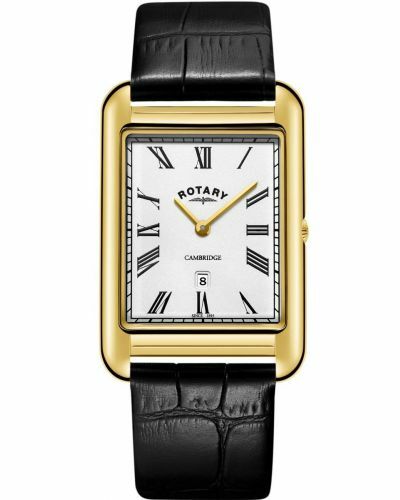 Housed beneath protective single domed scratch resistant Sapphire glass lies the suave silver-white dial, 12 classic black Roman numerals indicate the hours whilst rose gold faceted stick hands allow for clear legibility. A small date window is located at the 6 O’clock position. Set upon a dark chocolate faux crocodile effect genuine calf leather strap and fastened by a secure rose gold plated buckle; the Cambridge watch is ideal for both formal and casual attire. Powered by an automatic movement, the inner mechanism of this watch is visible through the clear case back, a striking touch to an already exquisite watch. 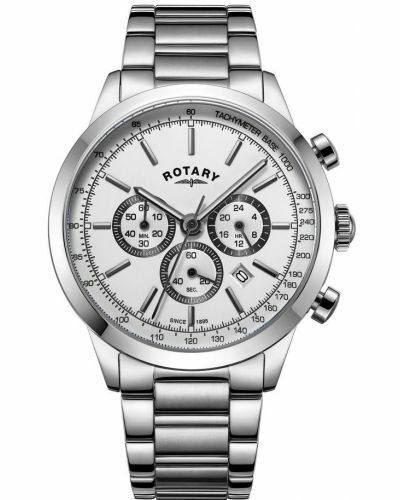 Water resistant up to 50 meters, the Cambridge watch comes complete with a two year guarantee and official Rotary packaging. 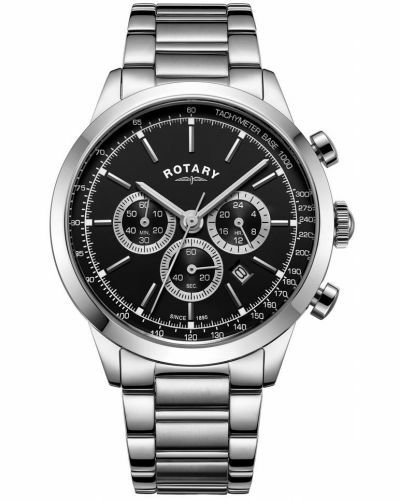 For us to size your new Rotary Cambridge watch as accurately as possible, please take a look at our downloadable Watch Sizing Guide.